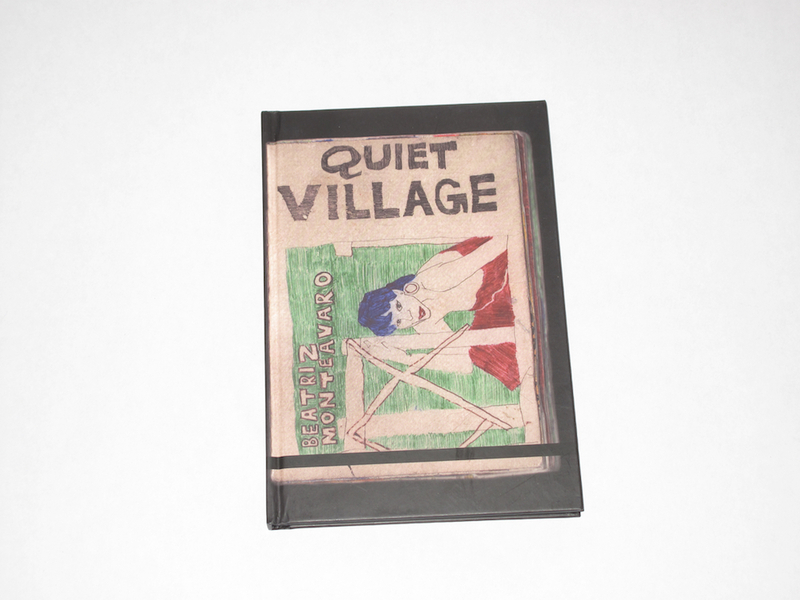 Quiet Village is a personal journal that may also be the foundation work on a new genre: Polynesian Monster Horror. 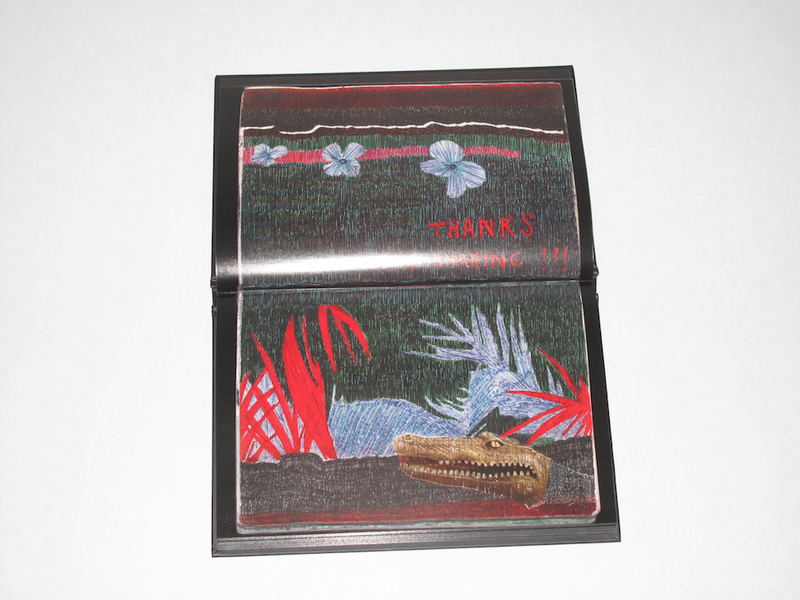 It is filled with collages, mixtape playlists, notes, palm trees, alligator-monsters and other hybrid creatures, tribal warriors, ruminating rock stars, and beach-bound misfortunes. 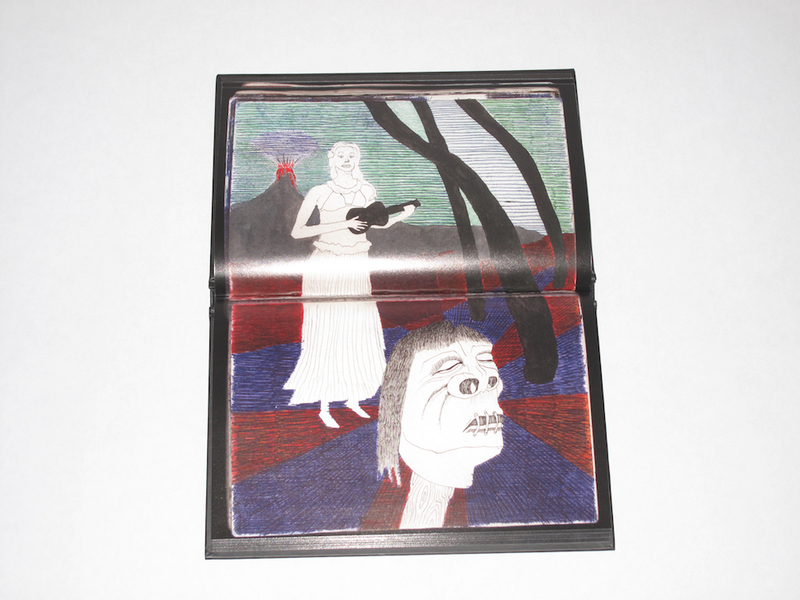 It’s accompanied by a 30-minute soundtrack CD that Monteavaro produced with her old band Beings. Audio and visuals work in symbiosis to fill in not just the spooky atmosphere of Polynesian nightmares but to charge the air with the subtle melancholy that wafts through them.